These flexible, medical-grade bowls are non-porous and oil-resistant. The non-stick surface is easy to clean, and is a Spa Taupe earthtone color. 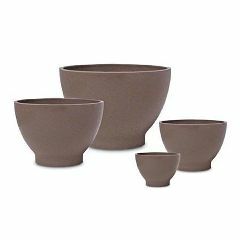 These 4 bowls are ideal for mixing facial masks, body treatments, waxes, hair color, or chemical treatments.